Fashion Week anywhere is notoriously hard to get into, unless you’re name ends with Wintour or Kardashian. Those who aren’t blessed with the title of Vogue’s editor-in-chief or born into a celebrity namesake have long consumed fashion weeks all over the world through secondhand media. First there were newspapers and press releases and then came Style.com and Instagram. Now, in the ongoing love story between tech and fashion, the game is changing again. Snapchat is allowing anybody who’s anybody––with a smartphone––all access to fashion week. According to Advertising Age, fashionistas of all varieties are taking advantage of Snapchat’s public story functionality, which allows users to upload photos and videos for a duration of 24-hours; much longer than Snapchat’s original few second clips. Among the insiders taking advantage of this function include Eva Chen, editor-in-chief of Lucky Magazine, and Leandra Medine of the “Man Repeller” blog. 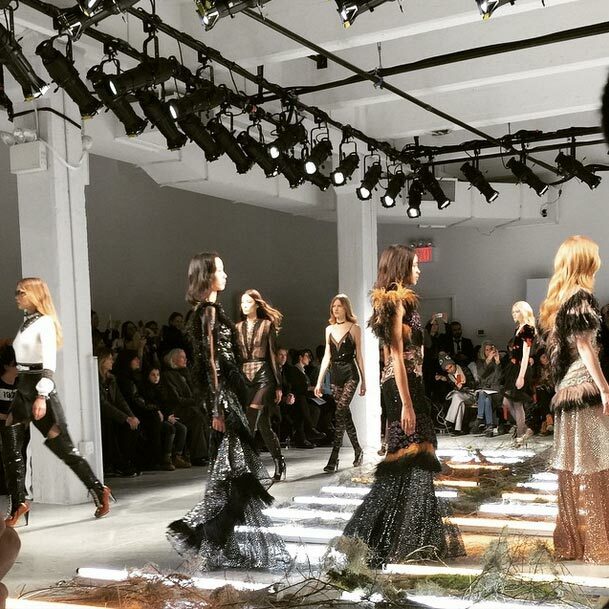 Leandra Medine brings Rodarte’s fall presentation right to your iPhone. Photo courtesy of Leandra Medine via Instagram. Neha Gandhi, Refinery 29’s media expert, told Advertising Age, "It's about bringing people along with you. Everyone gets to take a look around and honestly share it. There's transparency in Snapchat." With the rapid and continued merge of technology and fashion, runway shows and brand presentations are becoming less exclusive and more tangible by the moment, which raises the question; how will the industry define high fashion when it becomes accessible to the masses? Will high fashion become as obsolete as a CD player? Only time––and tech––will tell.